Henry Purcell, William Shakespeare: The Fairy Queen, Oxford University θεατρο novum, Oxford Playhouse, 5 May 2016. 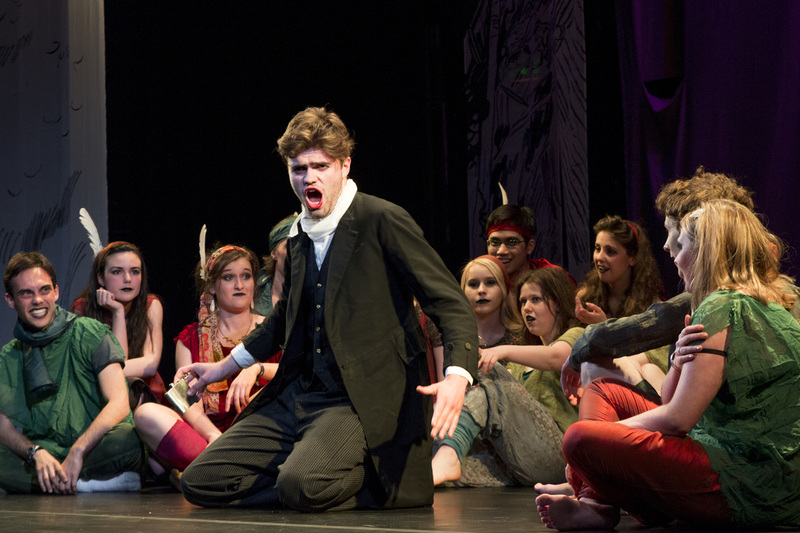 The Oxford University undergraduate theatre and opera company Theatron Novum was founded in 2015. The Fairy Queen is its third and most ambitious production, following Molière’s The Doctor in spite of himself and Purcell’s The Prophetess last year, all three directed by Dionysius Kyropoulos. The plot of The Fairy Queen follows closely Shakespeare’s A Midsummer Night’s Dream, in a Restoration version; Purcell’s contribution is the addition of music, song and dance interludes and an extended musical epilogue. The show lasts three hours and employs a huge cast of seventeen actors, twenty-six singers and nine dancers, accompanied by an orchestra of seventeen players. With such large forces the success of the enterprise must be largely due to the production team of whom the principal members were Producer Jasmine White, Director Kyropoulos, Musical Director Adrianna Stoiber and Choreographer Amy Thompson. Special credit must go to the Costume Designer whose designs clearly distinguish the different groups of the cast: fairies, mortals and the ‘rude mechanicals’, Bottom the weaver and his companions, and the singers and dancers. With a young audience (in contrast to Oxford’s usual opera audience) nearly filling the Playhouse, the show opened with a pastiche Prologue before the curtain, written by Theophilus Kwek, combining an account of what was to come, comments on topical events and warnings to switch off telephones. The curtain goes up on the black and white clad mortals Hermia (Anushka Chakravarti) and Lysander (Joe Stephenson) eloping to escape Hermia’s father who wishes her to wed Demetrius who is loved by Helena. We are then introduced to the ‘Mechanicals’ led by Bottom the weaver (Gregory Coates) rehearsing Pyramus and Thisbe and then to the bickering Oberon and Titania Laurence Belcher and Rebecca Bowen). The interaction of these three groups forms the heart of the drama with the magical intervention of Puck played by Georgie Murphy. The acting was superb. The diction of both singers and actors was absolutely clear (with a few lapses in the title role) with real feeling for the shape of the text, putting to shame many professionals. (I was surprised to see no voice coach credited.) The dance routines of soloists Marta Arnaldi, Daisy Porter and Alex Stoffel and chorus blended in unobtrusively while the orchestra gave firm support, notably the trumpeters Frederick Meyers and Ed Liebrecht and the sizzling bassoonist James Branchflower. This was a thoroughly professional production in all respects, down to each detail, including the programme. which must have taken hours of dedicated hard work to put together, comparable to that required of rowing crews. It is a Company and a Director to watch.